Rob has practiced family law for 27 years. He has tried cases in our family courts and witnessed first-hand the destruction the traditional adversarial system can exact upon families and children. For the last 10 years, Rob has focused the majority of his family law practice on alternative dispute resolution with great success, and helping clients resolve their family law disputes mostly through negotiation, mediation, and collaboration, allowing clients and families to make it through to the other side in a much more positive manner. Rob believes that litigation should be a last resort. Rob has been a board certified specialist in Family Law since 2002, and is also certified as a family financial mediator. He has been recognized every year since 2007 by Business North Carolina Magazine in its “Legal Elite,” and received the top number of votes in the state in 2016. He has also been recognized each year since 2007 by Law and Politics Magazine as a “Super Lawyer.” He has been included in “Best Lawyers in America” every year since 2011. Rob has also been designated through Martindale-Hubbell by his peers as “AV Preeminent,” which is the highest designation recognized. He has served on numerous committees through both the state and local bar, including serving on the Family Law Council of the North Carolina State Bar, and as a former co-chair of the Family Law Section of the Mecklenburg County Bar. Rob is married and has two teenage boys as well as a teenaged-acting chocolate lab. He spends his free time serving on various committees and community outreach through his church and chasing his children around the Southeast to watch them play soccer. When he has a free moment, Rob enjoys reading, exercising and playing an occasional round of golf. Wake Forest University, 1990, J.D. Business North Carolina, Legal Elite, Family Law, 2007-2017. Thomson Reuters Super Lawyers, Family Law, 2007-2019. 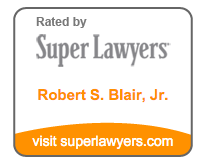 Thomson Reuters Super Lawyers, Top 100 Lawyers in North Carolina, 2019. Law and Politics Magazine, Super Lawyers, Family Law, 2007-2013. 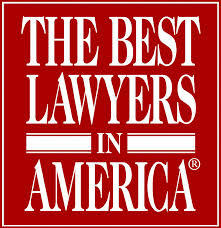 U.S. News and World Report, Best Lawyers in America, Family Law, 2011-2014, 2018, 2019; Family Law Mediation, 2018, 2019. Litigation between spouses and involving families is unique given the fact that it's so personal. Truly no one ‘wins’ in court other than the lawyers. Every case ought to be resolved out of court if humanly possible and litigation only used as a last resort.